Jewish Jam is back! 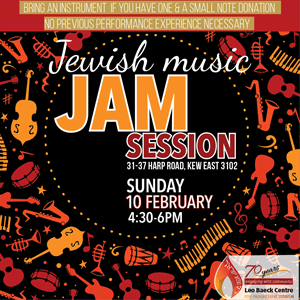 Enjoy Jewish and popular music at our regular monthly Jewish Jam Session. Bring an instrument if you have one or your singing voice or just listen, and also a small note donation. No previous performing experience needed and sheet music is always provided.